Social media marketing services encompass a variety of activities that ultimately result in better brand reputation online, increased inbound traffic and creation of an authoritative presence. The best SMO services will cover all popular social channels like Google+, Facebook, WhatsApp, YouTube, Instagram, LinkedIn, Pinterest and SlideShare to name only a few. What is noteworthy is that each channel needs a specialized approach. SMO services start with the creation of a strategy to suit each channel aligned with a customer’s goals and target audience. Affordable SMO will include modular services and one of the essential modules is social listening and monitoring of activities across all channels to know how people respond and then refine strategies on an ongoing basis. As your presence grows so does your community and managing your online community is essential to ensure loyalty and to encourage them to promote your company and this is what expert SMO services focus on, something cheap SMO services may not be capable of or offer. Content development and distribution is one of the prime SMO services and needs to be tailored for each media channel which is what experts in SMO will do for you. Campaign implementation, measurement, and analytics are part of the service that helps in getting better ROIs. SMO stands for social media optimization. It could also stand for search marketing optimization but social media is what it is better known for. Social media is a big thing in digital marketing these days and even search engines give better weight to social media content making it very important for businesses. Social media encompasses not only the most popular social media sites but also blogs and forums where people interact. SMO is a vital tool to build a strong brand presence and increase visibility in an organic way through social media channels. SMO services handle your social media accounts and populate pages with the right content, promote it among groups, create the strong following and build trust in your brand. Dozens of SMO companies in India offer SEO and SMO services but choosing the right one is important if you wish to build a strong presence in social channels and get better rankings. 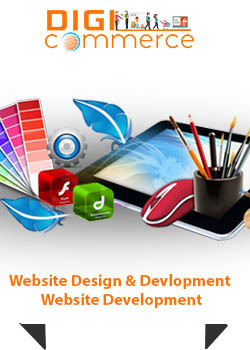 Digicommerce, the best SMO India based, offers the entire gamut of services in this sector. Located in NOIDA, Delhi, Digicommerce excels in creating ripples of buzz across all social media channels and avenues like blog marketing, social bookmarking, blog commenting, online brand reputation management, research, and analysis as well as promotions among our varied activities. Experienced and expert at what we do, we help raise brand awareness, drive traffic, improve search engine results and generate more revenues through conversions. Digicommerce, experts in social media marketing, craft a unique strategy based on your products, target market area, target customers and your goals. We align strategies with each channel’s guidelines and then go about carefully phased implementation all the while analyzing outcomes and fine-tuning approaches to guarantee expected results. We devise strategies based on research and analytics. We create concepts and a plan for implementation. Implementation across social media is handled by experts who go about it in stages. Each stage is tracked and monitored with careful analytics that helps us further refine strategies. Digicommerce SMO packages are modular and structured to be affordable as well as effective in achieving desired outcomes through best SMO processes. Social media posting and sharing We start by creating a social media presence on the most popular social channels like FaceBook, LinkedIn, Twitter, Google+, Instagram, Pinterest and others and cross-link with the website in addition to blog creation and commenting activities that all tie together. If you have a social media presence we carry out audits to evaluate standing and optimize profiles. Our posts are created by content writers who are adept in their art and content is slanted to align with the social media idiom. Social media advertising The next step is to take social media promotions to a higher level by planned and strategic advertising on social media channel sites. This helps create more publicity and awareness as well as traffic to social media pages from where targets are directed to your website and you can convert them into customers. Customer engagement Social media activities handled by Digicommerce, NOIDA, Delhi, India, based SMO agency, includes customer engagement at all levels starting with a prospective customer who is converted into a buyer. Engagement through social media also includes existing customers and listening to them as well as responding to their issues in a timely manner. Reporting and analytics Reporting and analytics are intrinsic to our SMO services. We keep track of each activity on each channel to know responses and to carry out modifications to campaigns on an ongoing basis.